All Mantis Extreme tours, river cruises, expedition cruises, and adventure trips. Find the best guided trips and expert planned vacation and holiday packages. 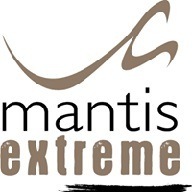 Average rating of 0.0 for all Mantis Extreme trips. Visit Shanti Stupa followed by the visit to The Namgyal Tsemo Gompa of Ladakh which was founded by King Tashi Namgyal in the early 15th century, around the year 1430. Visit Hemis National Park situated in Ladakh region of Jammu & Kashmir, famous for the elusive SnowLeopard. Explore the Rumbak village and the surroundings looking for the mammals of the region.